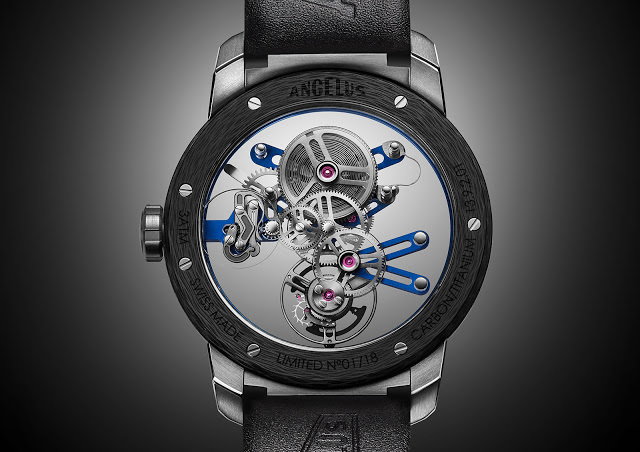 With a movement that appears to be floating inside the case, the Angelus U20 Ultra-Skeleton Tourbillon combines carbon composite, titanium and sapphire crystal for a lightweight, transparent timepiece. 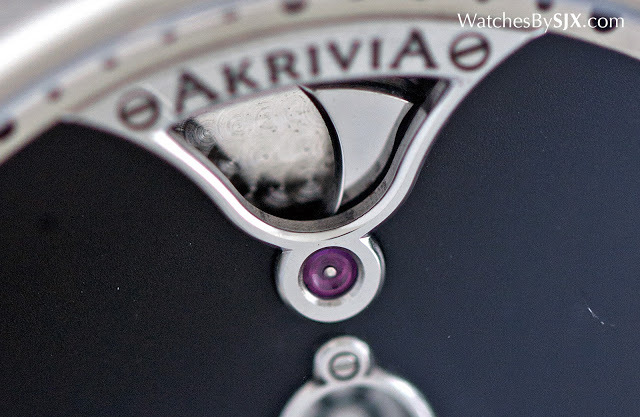 Here’s an overview, including specs and pricing. 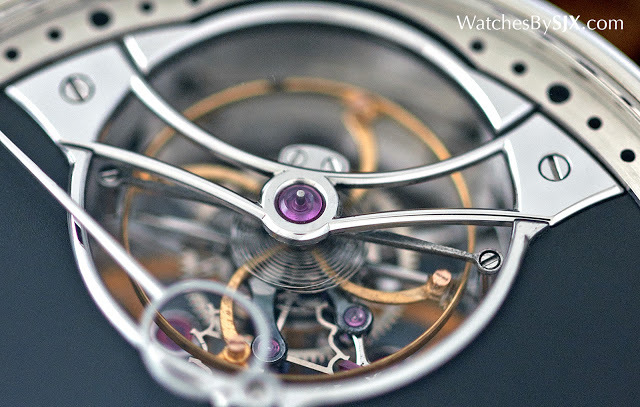 Being the sister company of movement maker La Joux-Perret, Angelus has the good fortune of being able to make unusual movements. 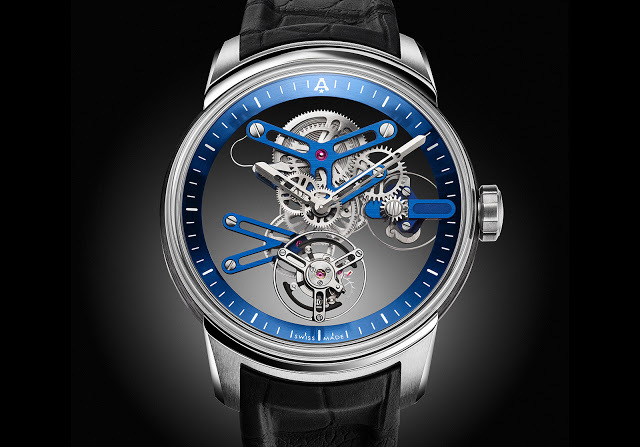 Soon to be unveiled at Baselworld 2016, the new U20 Ultra-Skeleton Tourbillon is an example of that, featuring a sapphire crystal base plate and blued titanium bridges. 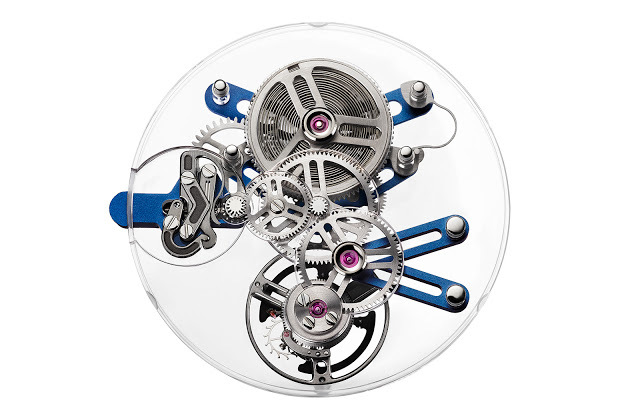 Though the combination of materials is familiar, being the province of Richard Mille, the look of the U20 is original enough. 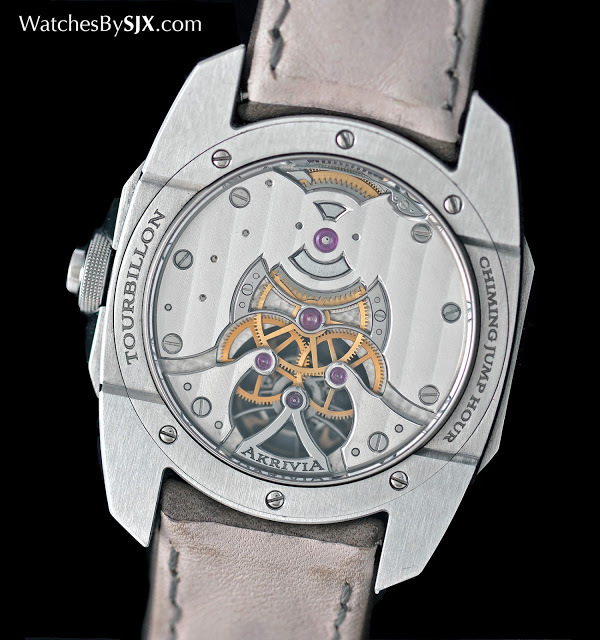 A sequel to the novel U10 tourbillon Angelus introduced last year, the U20 is powered by a movement is based on the tourbillon calibre La Joux-Perret has supplied to brands like Hermes and Louis Vuitton. 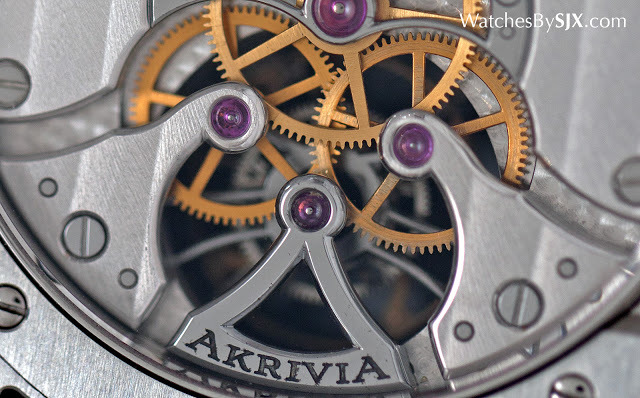 Though it shares a similar foundation, the A-250 movement inside the U20 is strikingly different from anything else La Joux-Perret has done. 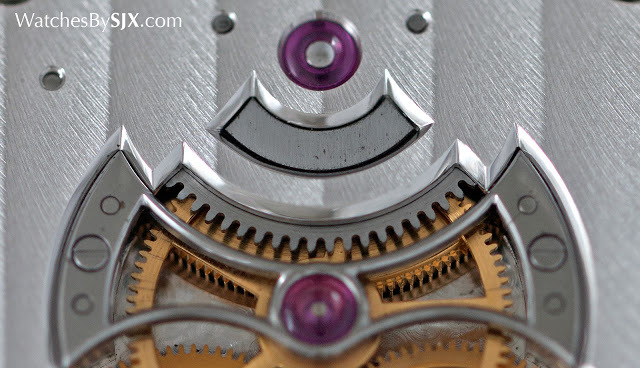 All the components seemingly float in midair, since they sit on a clear sapphire base plate, while the jewels in the base plate are held in white gold chatons. 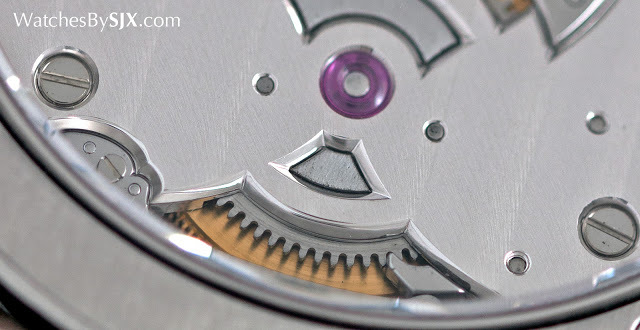 The gears and barrel are anchored to the base plate by blued titanium bridges that have been open-worked to maximise the transparency of the movement. 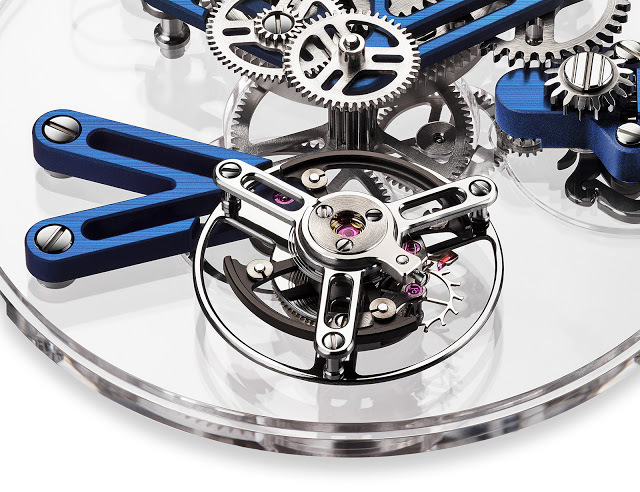 Echoing the blue of the bridges is the blue chapter ring for the minute track around the dial. 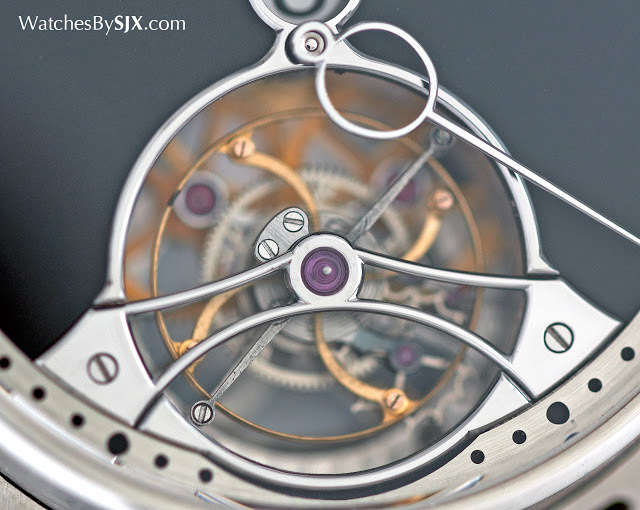 Despite being a largish 42 mm in diameter, the case is light thanks to its constituent materials. 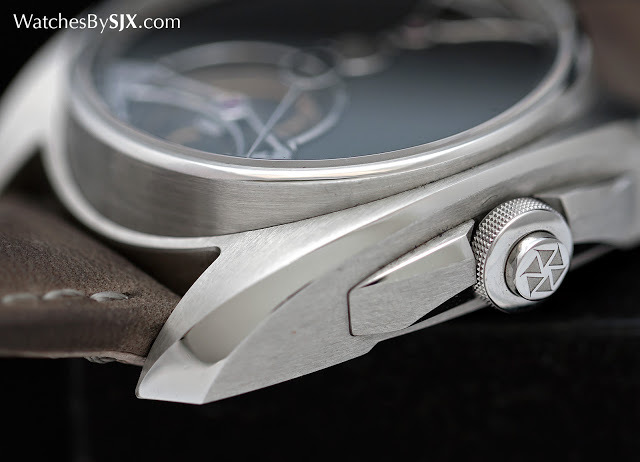 The case band is carbon composite, while the lugs and bezel are titanium. 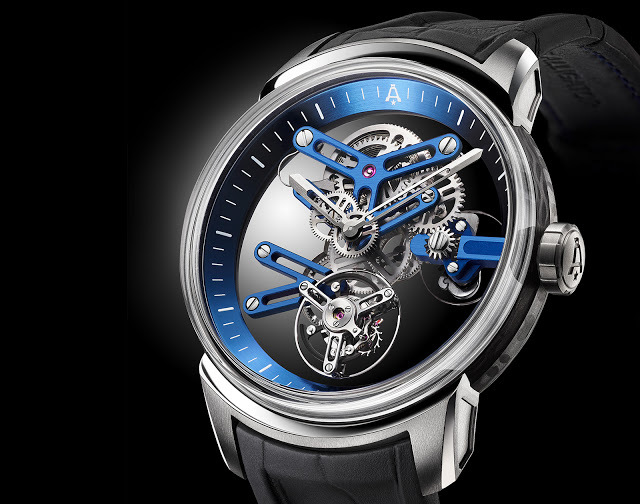 The U20 Ultra-Skeleton Tourbillon is limited to 18 pieces, with a price tag of SFr66,200 without taxes. That’s equivalent to about US$66,700. 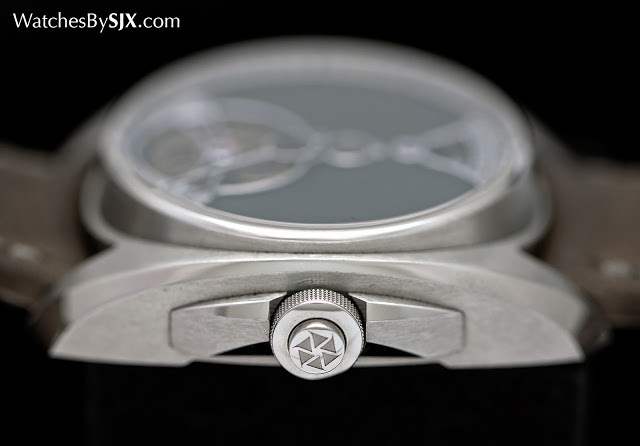 Update February 24, 2016: Price added.